Armorel High School senior, Alex (Ally) Young, has been awarded the ACT 2! LaGene Hampton Scholarship for 2015. The presentation was made by ACT 2! 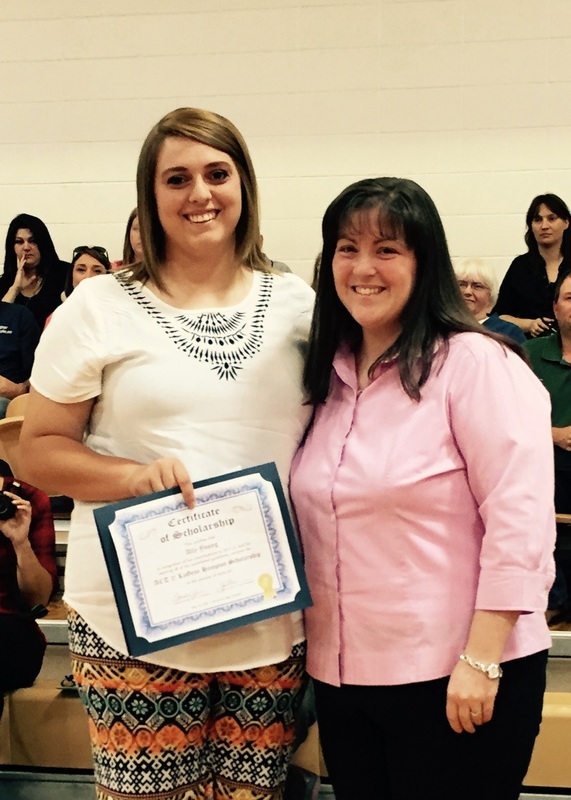 President, Candie Groves, during the May 12th Scholarship Ceremony at Armorel High School. The ACT 2! LaGene Hampton Scholarship is named in honor of LaGene Hampton, former long-time Blytheville resident and one of the founding members of the Blytheville Very Little Theatre and ACT 2! ACT 2! Community Theater offers this $500 scholarship annually to one deserving student who demonstrates an interest in theater and will be attending college. High school seniors and first year ANC students from the Mississippi County area are eligible for this award. Young is one of only three students who has fulfilled the requirements and received this scholarship in the past ten years. Scholarship applicants must volunteer a minimum of 50 hours to the theatre, which may be achieved through such activities as acting in a production, helping backstage, or helping with lights and sound. Thirty-five hours must be contributed to ACT 2!, and the other fifteen may be contributed to either ACT 2! or The Arts Council of Mississippi County. As a first-generation college student, Young was asked why she applied for the scholarship. She replied, “It warms my heart to have this opportunity to pursue my dream of going [to college]. The Ritz has been a second home to me. I have become close with the people associated there and have seen the history of others who thought the same.” Young went on to say that her time volunteering with ACT 2! and the Arts Council of Mississippi County has helped her take part in the community, and has made her who she is today. Young is the daughter of Ronnie and Janet Young. She plans to attend Missouri State University, where she intends to major in geology, and pursue a minor in theatre arts. For more information about ACT 2! Community Theatre or the ACT 2! LaGene Hampton Scholarship, call 870-762-1744, visit www.act2blytheville.org, or stop by the Ritz Civic Center, Monday-Friday, 9am-5pm.